Opening the sold-out show in the atmospheric basement space of the CB2 café bar was Milton Keynes based singer/songwriter/guitarist Anna Hester. Playing her own compositions she moved effortlessly between genres, but always with an emotional core. Starting with the minimal ‘In The Meantime’ she soon won over the supportive audience. Especially poignant was the musical interpretation of WW1 poem ‘Everyone Sang’ (which we did…) and I particularly enjoyed the gorgeous drifting jazz tones of ‘Watch The Clock’; as light as air in the spirit of an early John Martyn track as it resonated around the intimate venue. Luke James Williams uses the percussive and rhythmic possibilities of his guitar to showcase his intense, personal songs which he describes as ‘…reflecting the opposing forces and wonderful chaos of the world around us…‘. There is some darkness in the lyrics of ‘Snares & Traps’ and lead single ‘Rabbit Hole’ from his forthcoming EP. He played ukulele too, and a cover of Fleetwood Mac’s ‘Dreams’ fitted in well. The final thoughtful song ‘Still In Bed’ rounded off an impressive set. 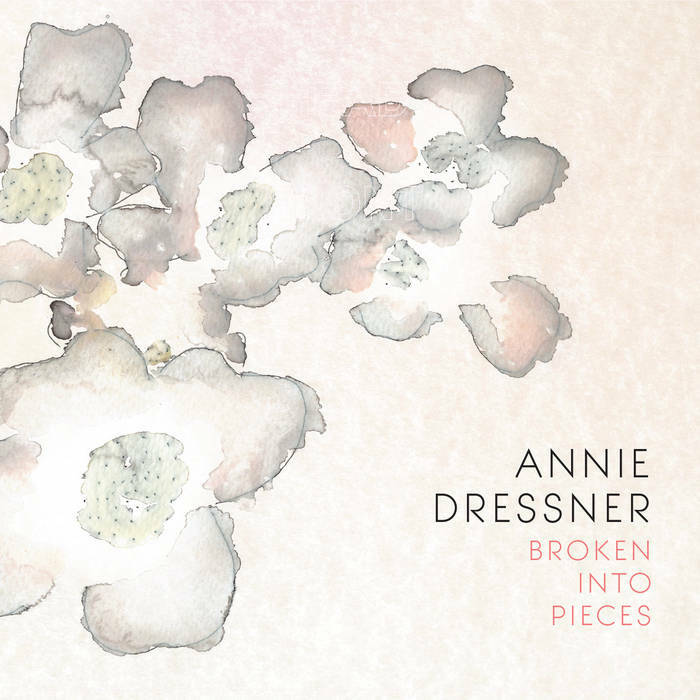 This was the launch event for ‘Broken Into Pieces’, the new alt folk/country LP from Annie Dressner, with her set featuring a complete play through of the album. Annie led with acoustic guitar, supported by occasional keyboard/electric guitar/cajón/percussion from her two fellow musicians. On the album there is denser instrumentation on many tracks but this line-up worked too, because of the strength of the songs and Annie’s pure, clear voice. Opener ‘Fades Away’ builds around a simple guitar figure, with a dream-like hookline. ‘Heartbreaker’ is an uptempo jaunt featuring eternal themes of country music; reminiscence, then the inevitable ‘moving on’. Lead single ‘Don’t Go’ is a cleverly structured pop song, with big chorus and classic middle eight. ‘Bruise Beneath My Bone(s)’ is a compact, deceptively simple song of regret. And so it continued; this is an excellent album, with many, many highlights. Originally from New York, Annie is now a Cambridge resident but recalls anecdotes and memories of her former life to draw on for lyrical inspiration, especially on two of my favourites ‘Kentucky’ and ‘Paper Moon’. The haunting, spiritual ‘Morning’ was the closing track from the album showcase, but there were more delights to come, especially ‘Fly’ and ‘September’ from her previous LP. ‘The Book Of Love’ by the Magnetic Fields suited Annie’s voice perfectly, then for a final encore the three acts played a gentle version of ‘You Are My Sunshine’ bringing a fine evening to a close. This entry was posted in Music and tagged Anna Hester, Annie Dresner, Broken Into Pieces, Cambridge, CB2, live, Luke James Williams, review on October 29, 2018 by iknoweno.